Strong economic performance in the UK has caused the pound to appreciate. This trend has intensified this year due to weak growth and expansionary monetary policy in the Eurozone. In this context exporters lose and importers win. To rebalance the economy toward export-led growth, the UK should diversify its export destinations. 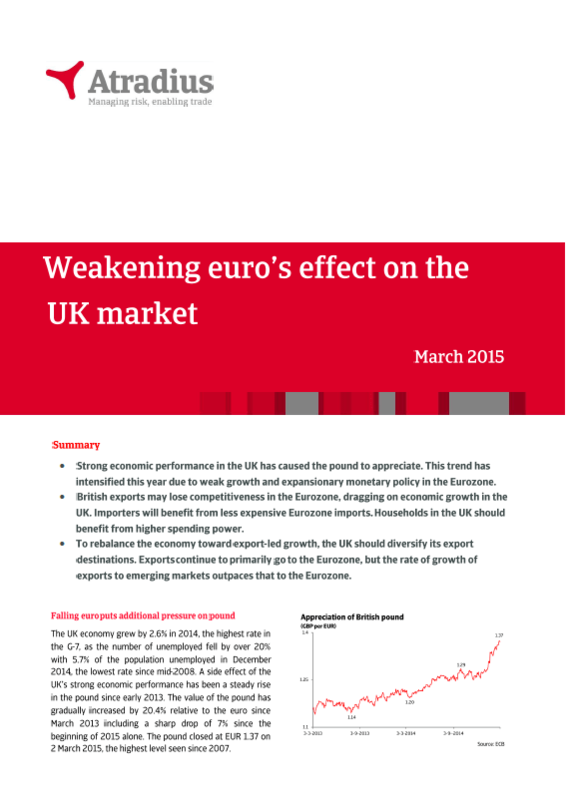 Discover in this document the detail of the key figures and trends for UK.